"The world is in constant motion, just as we are in constant motion..."
ACO globally is constantly seeking new ways to create the future of drainage with innovations that "show water its limits" so we can move without them. ACO recognises the importance of an design in all of its products. 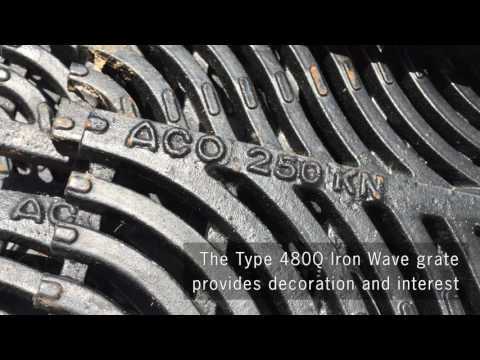 Starting with the channel to carry water, up to an aesthetically pleasing grate, ACO’s Drain range leads the industry. The innovative range of stylish grate options now presents Freestyle, a unique customer led grate design service. ACO is sponsoring the 2017 Talk Environment night in Wellington for a second year. The event brings together Engineers, Architects, Planners, Urban Designers, Landscape Architects, Scientists, Surveyors and more. In a relaxed atmosphere with drinks and nibbles, professionals from many disciplines can network and celebrate the environment they create every day. Held at the Wharewaka in Wellington on the 29th September 2017, the event promises to be fun for everyone. Wellington City Council’s chief city planner, David Chick, is the keynotes speaker. More information can be found at www.talkenvironment.co.nz and tickets may be purchased here. The Living house is hoping to become the first Living Building Challenge certified house in New Zealand. Joel and Rochelle Payne, who will be living there when the project is complete, are using one of the world’s most rigorous performance standards for building and construction – Living Building Challenge. To meet this standard, certain materials with a negative impact to the environment are prohibited, and are included on the Red List. These cannot be used on the project. Council required a drainage channel along a new concrete driveway, KlassikDrain KS100 with Ductile Iron Wave grates was chosen for its hydraulic performance, aesthetics and compliance with the Red List. More information about the project can be found at www.livinghouse.org.nz, and KlassikDrain information is available at www.acodrain.co.nz/klassikdrain. Autumn has arrived in New Zealand and with it will come chaotic weather, “weather bombs” and most significantly, a lot more rain. To make sure your drains function properly, now is the perfect time to clean them out. Drains pick up everything that flows from the surface: water, silt, leaves and more. Heavy rain and washing of surrounding areas only intensifies this and can lead to both channel and outlet becoming clogged. If a channel drain becomes blocked the overflow can lead to property damage or safety issues. For example, a blocked channel on a roadway can create a large amount of standing water which inturn can flood across a garage entrance and allow surface water to get inside your building; putting property, possessions and lives at risk. To stop this happening regular maintenance should be undertaken. Cleaning grates ensures complete capture of surface water. Removing silt and debris from the channel itself ensures drainage will be as efficient as possible and that outlets will flow well. The volume can be surprising: the photo below was all taken from a 5m length across a garage door. Apart from ACO’s ‘Developed V’ channel profile, ACO’s drains also have specific features to assist with maintenance. For example ACO’s KlassikDrain and PowerDrain are both equipped with boltless locking grate and ACO Brickslot has specialised removable access units. These features allow for an easy maintanence program essential for effective, year-round, surface water management. To find more information about drain maintenance, visitwww.acodrain.co.nz or get in touch with ACO New Zealand at info@aconz.co.nz. Local businesses using the footpath for outdoor dining were impacting on pedestrians. Auckland Transport chose to widen the footpath, creating two dining areas along the building edge and kerb, all completed in time for the busy summer season. The specification for the new footpath included three sections: dining against the building and planted kerb, and a passage for pedestrians. Landscape architects sought to delineate these areas and chose the Type 478Q grate for its versatility, Heelsafe® and Anti-slip properties, and colour contrast to the pavers. Engineers engaged ACO to confirm the hydraulic capacity of the channels. Because of the high volume of pedestrian traffic, no ponding was allowed for the design storm. ACO modelled the channels to outlet locations required by the site plan, showing good hydraulic capacity and reducing the risk of standing water. ACO KlassikDrain K100 sloped channels with Type 478Q Ductile Iron Heelsafe® anti-slip grates were chosen for their design features by engineer and landscape architect. Download the full portfolio here. Kopupaka Reserve in Auckland’s Westgate Development recently scooped the top landscape prize at the World Architecture Festival 2016. Held at the Arena Berlin, the festival is an event for architects and interior design professionals, celebrating global achievements throughout the year. The project integrated a storm water reserve and an urban park, including multi-purpose landscaping. As well as the storm water for the entire Westgate development, surface water for the new landscaping also had to be dealt with. In locations where capture was the priority, ACO’s KlassikDrain K200 with Decorative Grate was the product of choice. Judges commented that the project showed ''a successful translation of Maori traditions that succeeded in being both poetic and imaginative in its creation of a landscape that captures the soul and nature of the area.'' ACO’s Decorative Grate compliments this vision, and the ductile iron weathers to match the iron used extensively throughout the park. For further information please visit www.acodrain.co.nz/klassikdrain. ACO Limited was featured in the recent release of the New Zealand Specifiers' Guide. The article looked at the products and solutions ACO offers to combat the uniquely New Zealand challenges faced in surface water and utilities management. 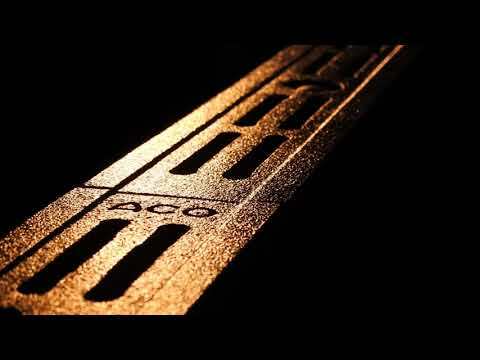 ACO ThresholdDrain is a leader in its class, designed to specifically meet the New Zealand E2 building code. ACO Cablemate pits also feature a wide variety of lid and cover options; the "ACC" deep pan shared space cover is born from, and is exclusive to the New Zealand market. Please click here to download the full guide. ACO Limited were proud to sponsor the inaugural ‘Talk Environment’ event, held at “The Boatshed” in Wellington this September. The evening brought together members from the NZILA, NZIA, NZPI, UDF, NZIS and The IPENZ Rivers Group, and provided a platform for discussion about environmental issues relating to their work. It also celebrated the achievements of designers across the Wellington region, with a chance for colleagues to share stories from their individual projects. The event was a great success, with all in attendance enjoying themselves thoroughly. NZILA and Cardno Wellington invited Dr. Jeffrey Wakefield from Cardno USA to be the keynotes speaker. He gave an insightful presentation on the 2010 Gulf of Mexico oil spill touching on the rapid response, wildlife and ecological impact, and lessons learnt from the process. ACO were also able to give a short presentation on their environmental approach to stormwater system design and the related products available to meet these challenges already being utilised across the world. Designs encompassing the whole process, from stormwater capture through filtering and retention, to release back into the stormwater system, form ACO’s vision of the Future of Drainage. The event made a small profit, which was donated to the Seton Nossiter Park Working Group. Working with Wellington City Council, as well as local schools and community groups, the aim is to protect and restore the Newlands Park, particularly its original titoki-tawa forest and stream. Click here to view the full newspaper article. The 2011 project to redevelop the Auckland Art Gallery sought to refurbish and strengthen the much loved existing building, increase the exhibition space by 75% and create terraces linking the spacious entrance forecourt to the nearby Albert Park. When designing the link between Albert Park and the striking atrium now acting as the main entrance in the new building, specifiers encountered a problem with surface water drainage. The high tree-like canopies allowed rain into the forecourt and there was overspill from a featured fountain. To make sure that excess surface water did not enter the building, designers were required to provide adequate drainage. Due to the restricted depth available, the shallow depth SlabDrain H100K was used. 100mm polymer concrete channels were selected along with stainless steel Heelsafe® anti-slip grates to complement other fittings in the building and give a high quality architectural finish. Please click here to download a .pdf of this story. Taken from an article on the New Zealand Institute of Architects website. ACO, global leader and pioneer of the modular polymer concrete trench drain, has launched a comprehensive range of new ACO Drain®systems to deal with modern challenges experienced by today's designers. Pavements and slabs catering for all types of traffic, in all sorts of weather conditions deliver the most challenging environments for drainage systems. ACO's new profiled side walls provide high body strength and mechanical keying, making ACO's acclaimed signature Polycrete®Channels, the world's most robust and durable trench drains. Draining large flat pavements efficiently is also challenging. ACO's new signature Polycrete®Channels are V shaped ensuring maximum liquid velocities even under low rainfall conditions. Each channel is sloped so that runs with continuous fall can be directed to the stormwater outlet. The result is an efficient, cleaner and clearer drain, ready for peak design storms. Finally, the cost of injuries in the public domain from falls can be excessive for both victim and client. ACO believes that small slotted grates should also be slip resistant. Heelsafe®Anti-Slip grates have raised mechanical nodes for slip resistance and are available in a choice of stainless steel, ductile iron and plastic designs. Each grate complies with various user and legislative requirements, including AS 4586 for slip resistance. Manufactured at ACO's modern manufacturing facility in Sydney, ACO offers a market leading range of trench drain solutions for every application. ACO Drain® systems can be supplied in 50mm, 100mm, 200mm and 300mm internal widths, and are available with a built-in slope for up to 40 metres of continuous slope. In conjunction with a comprehensive, quality product range, ACO supports its business with technical sales support, and world class customer service. “Humidity was to be expected, but this is something else." NY Times noted that "the area in front of one goal appeared to be a bit swampy, but the surface certainly drained better than the city's roads"
Also Yahoo Sports was informing that "While access to the field was restricted, a stadium official reported that the drainage system in place at the system was working effectively and that the field was in good condition. Heavy tarps covered the goal areas on both sides of the field. No standing water was visible." This is yet another high profile example of why linear drainage is so important on sport fields. The inventors of precast channel grated trench drains have enlarged their presence in New Zealand. For over twenty years the world acclaimed ACO Drain product has been available through distribution partners. ACO Drain is now available directly from the established company, ACO Limited. The ACO Global Group has invested heavily with creating a local stocking facility and has increased its on the ground sales and customer service support. Starting in Germany in 1946 ACO has become the world’s largest surface drainage company and the world’s largest producer of polymer concrete. ACO prides itself on product innovation and continues to develop solutions for the ever challenging environment of surface water management. With the establishment of ACO Limited, the New Zealand market will now be exposed to the much broader range of civil construction, building drainage and water management products. 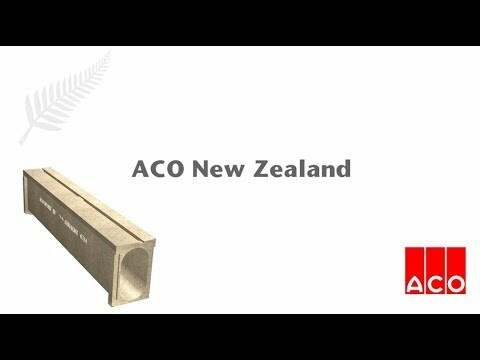 For example ACO brings to New Zealand the largest range of cable jointing pits, lids and access covers under the brands of ACO Cablemate and ACO Access. Paul Casey the Managing Director of ACO Limited says “we are so excited about the future. We shall continue to service the local market through a national group of distribution partners, and look forward to explaining to the industry the many features and benefits that the broader range of ACO products we bring to New Zealand. We are a company offering a vast array of German engineered products to the New Zealand market. When people think of ACO here in New Zealand, they tend to think of ACO Drain and we continue to have some developments with our ACO Drain product range- but we are more than a surface drainage company, we are a company looking to help, create and find solutions to the challenges faced in the ever changing and challenging areas of civil construction and water management”. ACO Limited has local customer service support available on telephone 0800 448 080 or you can email sales@aconz.co.nz or visit our website www.aconz.co.nz.